Last week I received three more postcards as part of Sian's Pile of Postcards Valentines Exchange. One arrived from Jennifer in Canada and the other two arrived from Mari and Carole in the UK. All three were wonderfully unique cards and had such nice notes written just for me! Thanks ladies! I also received two handmade cards from friends I met at last year's Christmas Cards With a Texas Twist class at Scrappin' Goodtime! 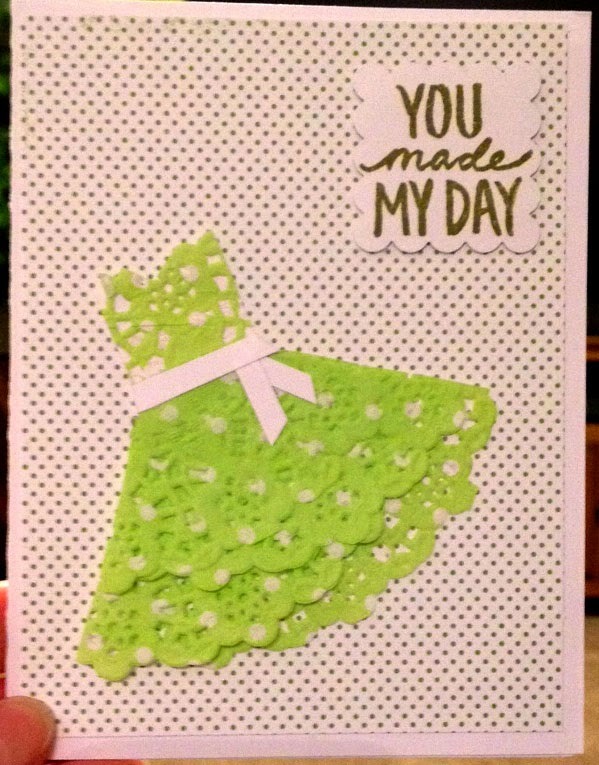 LaDonna also recently participated in all the visiting and laughing and crafting at my Valentine's Day Card Class and used the doily dress tutorial for this really cute card. The other card came from Ruth, an elderly a young-at-heart lady that happens to share the same first name as my Grandma (who I miss dearly!). I saw Ruth when I was at Scrappin' Goodtime recently. She makes and sends lots of cards, and I mentioned that it had been years since I'd received a card from someone named Ruth and it would make my day if she sent me one. 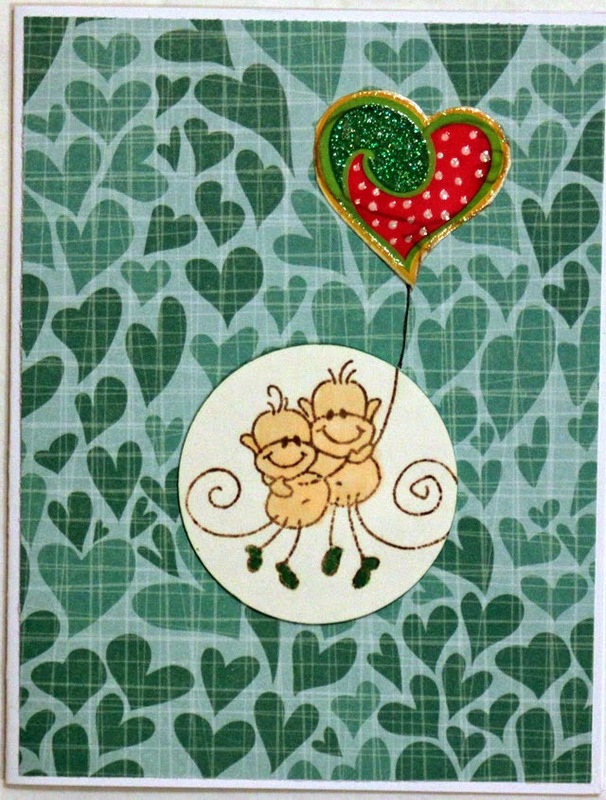 And it did totally make my Valentine's Day when this lovely card arrived! I hope your mailbox has been filled with happy mail lately, too! A lovely selection of cards. Oh, yes - lots of happy postcards :) These are fab, too! Nice to know that you are being filled up with this lovely happy mail :). It's Always a good day when you get happy mail! 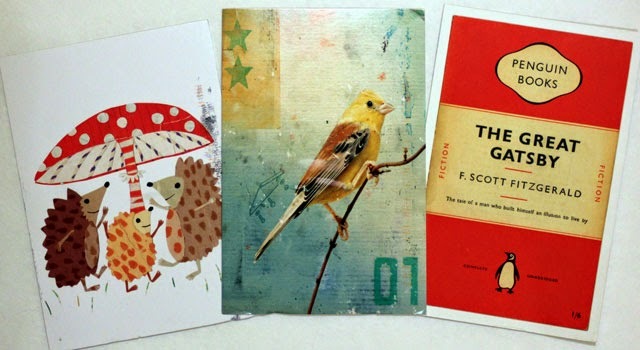 Love that postcard with hedgehogs! So much fun to find something so happy in the mailbox. Cute cards, all of them! Sian's Postcard Exchange has been wonderful, hasn't it? The cards you received are all lovely. Love happy mail! How wonderful that you received these!